Join us for a great event! 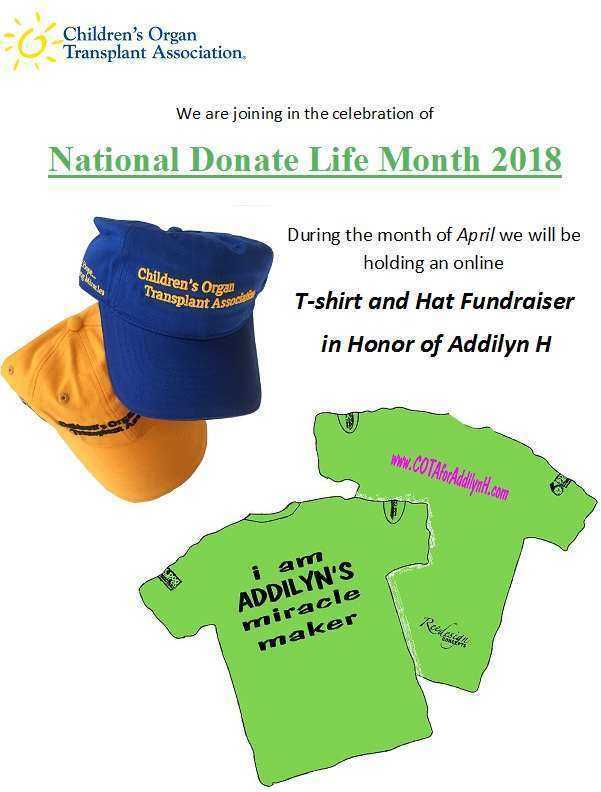 In conjunction with National Donate Life Month 2018 during the month of April we are hosting an online T-shirt and Hat Fundraiser event to help raise awareness and funds for COTA (Children's Organ Transplant Association) in honor of Addilyn H.
More information to come! Stay tuned!